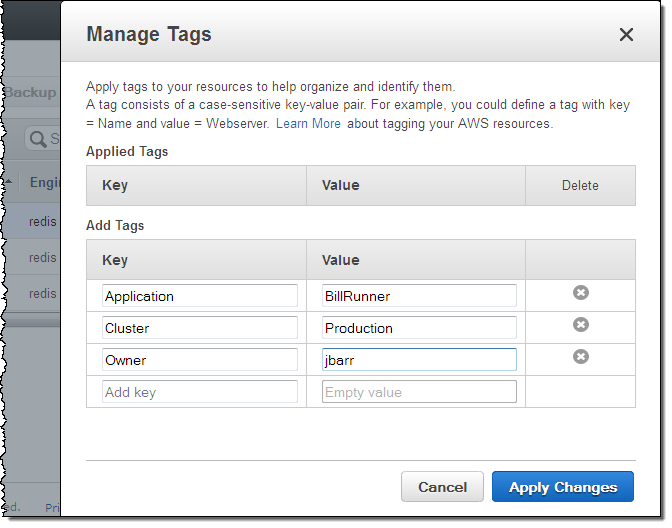 As you probably know, you can tag many types of AWS resources for tracking and billing purposes. You can use the Cost Explorer to attribute costs to resources and you can use Resource Groups to easily create and maintain collections of resources that share a common set of tags. You can also tag your cache cluster snapshots in the same way. The AWS Command Line Interface (CLI) and the AWS SDKs will be updated later this week.